Gayton Services is a minor waterways place minor waterways place place on the waterways major waterways place village town city on the Grand Union Canal (Northampton Branch) between Northampton Junction (Junction of River Nene and GU Northampton Branch) (4 miles and 6¼ furlongs and 17 locks to the northeast) and Gayton Junction (Junction with Grand Union Northampton Branch) (a few yards to the southwest). The nearest place in the direction of Northampton Junction is Milton Road Bridge No 2 (Gayton); ¾ furlongs away. Facilities: chemical toilet disposal, rubbish disposal, toilets, water point, glass recycling and paper recycling. Gayton & Blisworth, Northampton, NN7 — 1377 yards to the south. Northampton — 1621 yards to the southeast. Northampton, 01 — 1331 yards to the southeast. Northampton, NN7 3QX — 745 yards to the south. Unit 29 Northampton Road, Blisworth,, Northampton, NN73DW — 1189 yards to the southeast. The Hif Blisworth Road, Towcester, NN7 3EY — 1411 yards to the west. Blisworth Road, Northampton, NN7 2QB — 1520 yards to the southwest. Northampton Road, NN7 3DR — 1112 yards to the southeast. Unit 8, JBJ Business Park, Northampton Road, Blisworth, NN7 3DW — 1048 yards to the southeast. Northampton, NN69DX — 1331 yards to the southeast. 34 Northampton Rd, NN7 3DW — 1159 yards to the southeast. 22 Northampton Road Blisworth, Northampton, NN7 3DW — 1372 yards to the southeast. Cosworth Northampton, Northampton — 1331 yards to the southeast. Regus Northampton, Northampton, NN4 7PA — 1331 yards to the southeast. Rothersthorpe — 1600 yards to the north. The Stables, Towcester Road, Milton Malsor, Northampton, NN73AP — 1369 yards to the east. Blisworth, NN7 3EL — 1472 yards to the south. Unit 18. (Inside Tayflor Carpets Showroom) JBJ Business Park. Northampton Road. Blisworth, Northampton, NN73DW — 1332 yards to the southeast. Northampton, NN7 3 — 1331 yards to the southeast. Station Road, Northampton, NN7 1NQ — 1019 yards to the southeast. Jbj Business Park Northampton Rd Unit 7, Northampton, NN7 3DW — 1101 yards to the southeast. Wood Farm, Northampton, NN12 7HZ — 976 yards to the southwest. Northampton, NN7 — 1332 yards to the southeast. Northampton — 1332 yards to the southeast. Hilliside House, Blisworth Road, Gayton, NN7 3HL — 1520 yards to the southwest. Station Road, Northampton, NN7 1NH — 1056 yards to the southeast. Milton Road, Northampton, NN7 3HE — 1381 yards to the west. Unit 9, JBJ Business Park, Northampton Road, Blisworth, Northampton, NN7 3DW — 1091 yards to the southeast. Northampton, NN4 — 1332 yards to the southeast. Northampton Road, Northampton — 1331 yards to the southeast. Unit 18, JBJ Business Park, Northampton Road, Blisworth, Northampton, NN7 3DW — 1091 yards to the southeast. 21 Station Road, Blisworth, Northampton, NN7 3DS — 614 yards to the south. 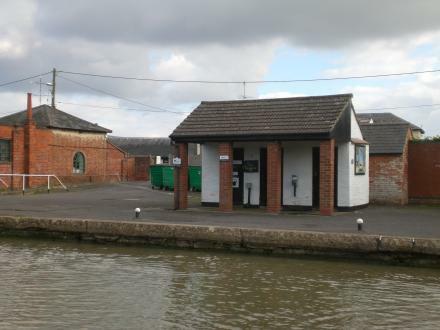 Blisworth arm, Northampton, NN7 3EF — 12 yards to the east. Northampton, NN3 — 1331 yards to the southeast. Birds Close Gayton Road Bugbrooke Northants, Northampton, NN7 3PH — 1377 yards to the south. Northampton Road, Blisworth, Northampton, NN7 3DW — 1331 yards to the southeast.